I recently attended the CEESA (Central and Eastern European Schools Association) Teachers Conference in Warsaw, Poland. The conference hosted teachers and administrators from across the CEESA region, including from the International School of Prague. ISP will host the CEESA Conference next year in March 2013. 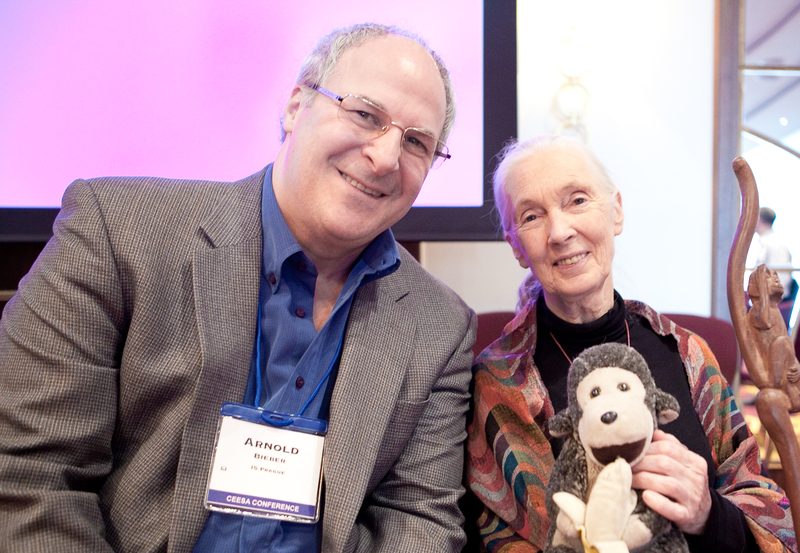 While the conference represented an excellent professional development opportunity for educators, the highlight was the appearance of Dr. Jane Goodall, renowned anthropologist and United Nations Messenger of Peace. While Dr. Goodall is best known for her decades-long work, researching chimpanzes in Tanzania, her advocacy for the rights of people, animals and the environment through the Roots and Shoots program and other initiatives, has attracted tens of thousands of young activists in schools around the world. While small in frame and somewhat frail, Dr. Goodall’s glowing presence was humbling. During her talks, “Dr. 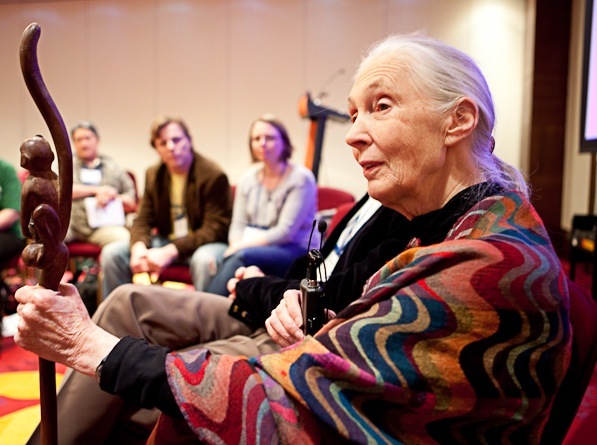 Jane” talked about her childhood, politics, chimpanzees and the continued hope she feels for the world’s future. In a quiet voice, her inspiring message that each individual can make a difference, was powerful and compelling. Dr. Goodall talked about her mother’s influence, who early on nurtured Jane to be a risk taker. One of her earliest recollections, was the day that Jane, as a little girl, hid in a henhouse for hours and hours in order to find out how hens laid eggs. During this time her entire family had been frantically searching for her. They even called the police! When little Jane finally did reappear, very excited about her new discovery, her mother didn’t scold her, but instead sat down to listen to what Jane had discovered in the hen house. Dr. Goodall talked about how the great British archaeologist and naturalist, Dr. Louis Leaky, inspired her and encouraged her to pursue a career in science. Subsequently, Jane became one of the few Ph.D. candidates in the history of Cambridge University to be admitted without a college degree. I had written that when Fifi’s (one of the Gombe chimps) brother was born, she was jealous of the others coming to try to touch him. Robert said, “You can’t say ‘jealous’ because you can’t prove it.” And I said, “Well, I’m sure she was!” And he said, “I suggest you say, ‘Fifi behaved in such a way that had she been a human child, you would say she was jealous.’ ” That is so clever. No one can say anything about that. There’s nothing that isn’t fact. A central theme of Dr. Goodall’s remarks were about the wonder of children and childhood. It was moving to see Dr. Goodall lovingly interact with students from the American School of Warsaw, treating each child with genuine patience, kindness and care. Dr. Goodall expressed her belief, that the environmental damage our generation and previous generations have caused, could still be undone, and that we adults have an obligation to return to the next generation their rightful heritage, a pristine planet. Dr. Jane Goodall’s uplifting message, that each individual can make a difference and that our hopes for the future lie with the children of the world, reminds us of how each educator or teacher can make a profound difference in the lives of children.